It is hard to believe May is almost over. Before it ends I wanted to share another great Asian resource since it is Asian Pacific Heritage Month. I had big plans to do more this month, but life got in the way. 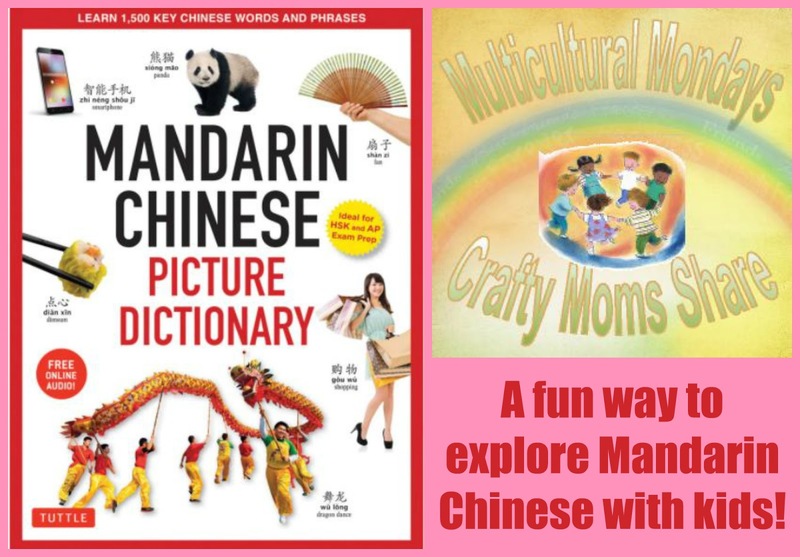 Do you have a child or teen who is learning Mandarin Chinese? Or do you want him/her to? Perhaps you have a visual learner taking an AP Mandarin Chinese? I have the perfect resource for you. It is Mandarin Chinese Picture Dictionary by Yi Ren. This book has 1,500 key Chinese words written in Chinese and English with a picture. The words are grouped together in 38 categories. There are categories like My Family, My House, Life in the City, Counting Words, At the Market and so many more! As you can see on the sample page below, it provides the Chinese characters (Hanzi) as well as the pronunciation (Hanyu Pinyin). This book provides a perfect way for visual learners to learn Mandarin Chinese. With the photographs it always help to understand the meaning. I remember teaching geometry and how important it was to provide pictures with the vocabulary words for the visual learners. (Geometry is often seen as an easier math for visual learners because of the pictures.) This visual dictionary is perfect for an introduction to the language as well as to help students learn the vocabulary even better. The book also provides a website to get the downloadable audio files to help with the pronunciation of the words as one learns. One of the great parts of this book is that it appeals to children, but also can help teenagers and adults to learn this language that is often considered a very hard language to learn. The book provides simple vocabulary in four different ways (English, Chinese characters, pronunciation and photograph). There are also phrases in the book learn how to use the words as well. I hope you will check out this amazing dictionary out if you want to learn Mandarin Chinese or know anyone who is! !